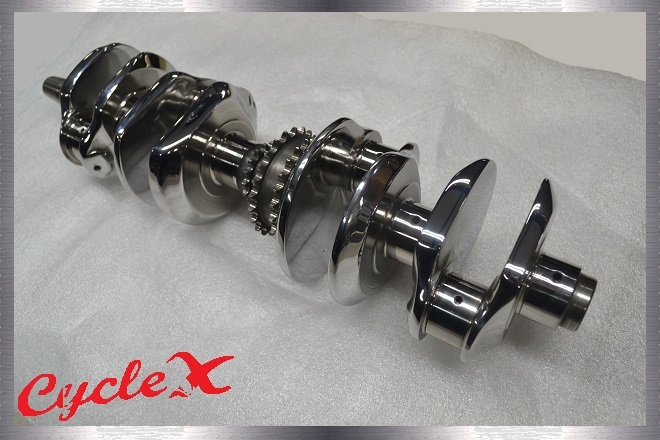 Cycle X Crankshafts back in stock! 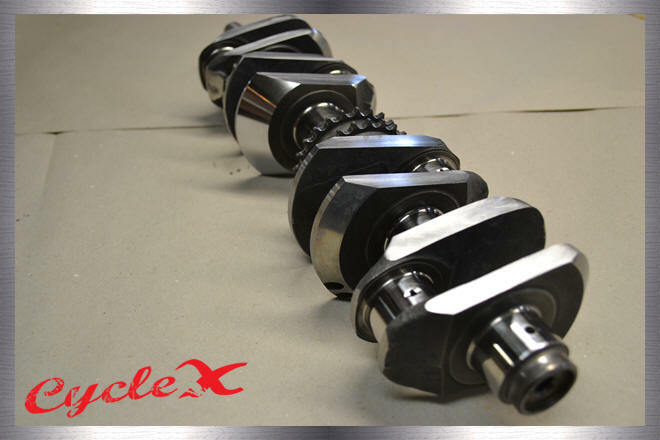 If you're in need of tech help, refer to our crankshaft / connecting rods tech tips page. 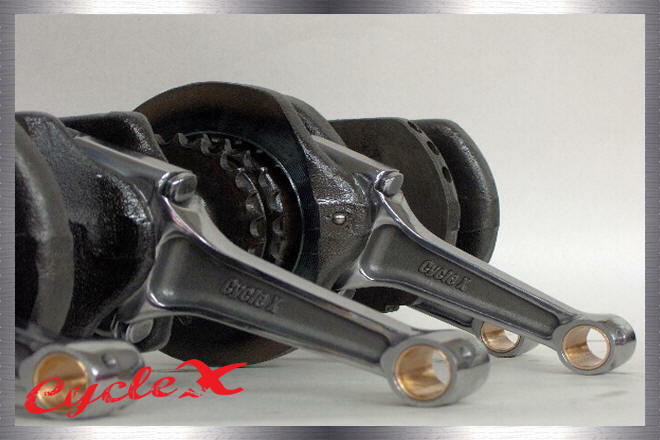 Cycle X Super-Rods have been designed and tested to meet the most demanding applications. 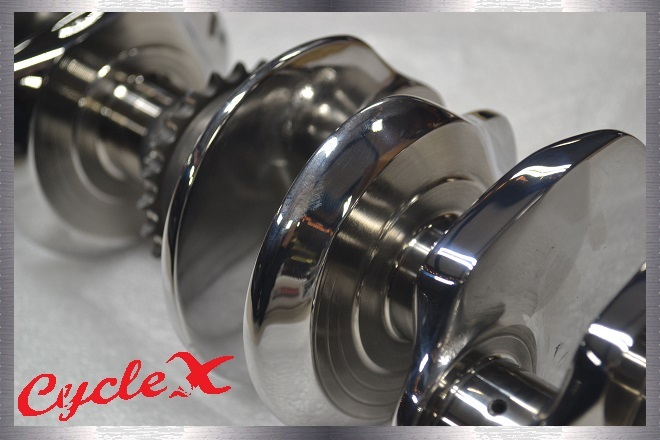 Our Super Rods are built with the latest technology and materials. 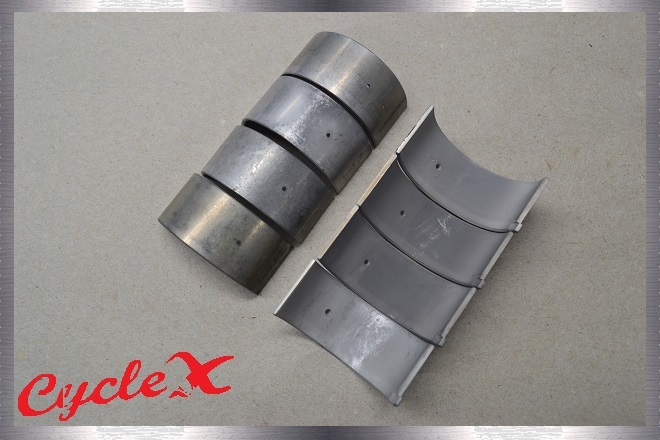 Our connecting rod quality will be hard to match, our price will be impossible to beat. The best just got better! 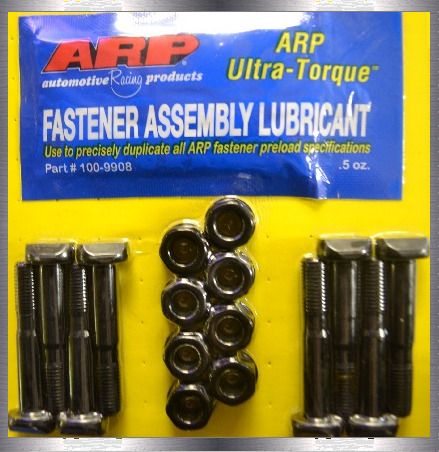 Our Super Rods now includes ARP bolts for free! 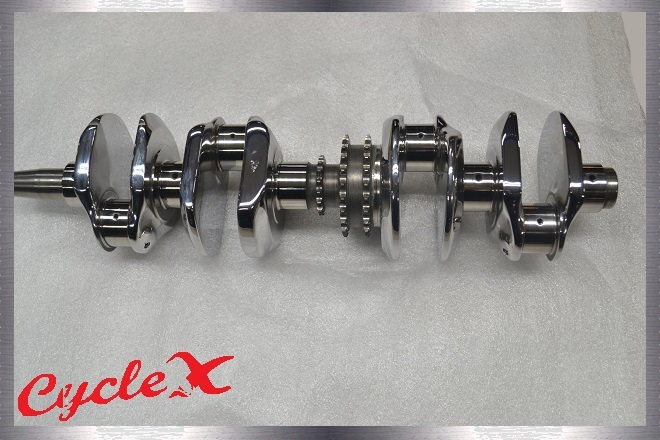 Why do Cycle X crankshafts and related parts run so smooth and happy? 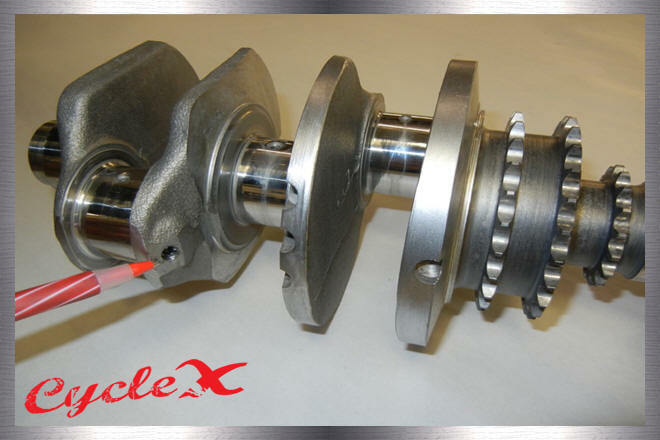 Notice the before (triangles) and after (circles) when crankshafts are balanced with our race proven technique. Just thought ya'll would like to know! 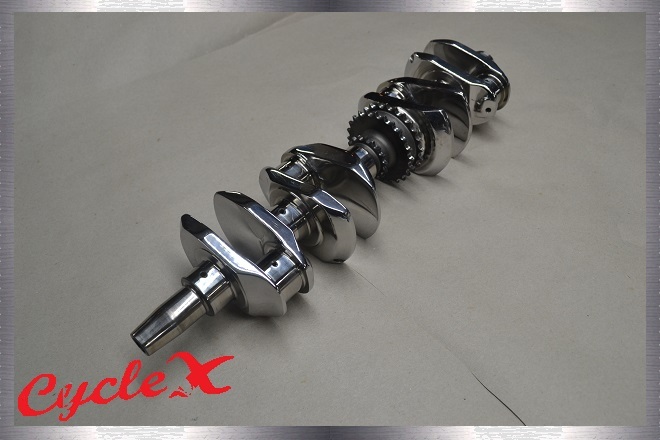 The Cycle X crankshafts are known worldwide for being the best. 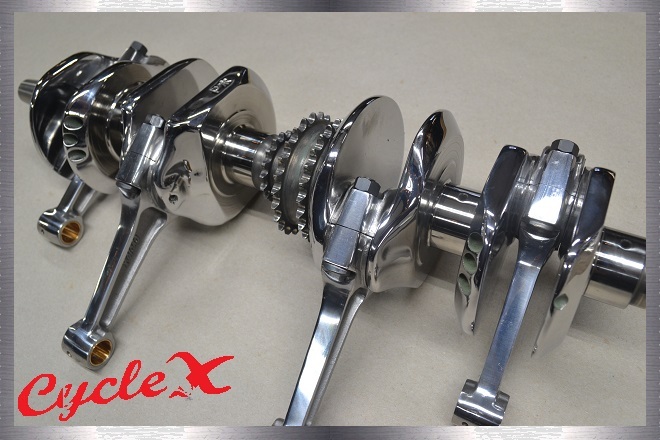 Cycle X Polished (Frog Leg) Lightened and Balanced "Super Crank"
1) Completely polished to perfection. 2) Larger diameter oiling holes. 3) Turned "knife edge" lightened. 4) Oiling journal holes relieved. 5) Micro polished main and rod journals. 6) Oil ball bearings removed and tapped for socket style plugs. 7) Balanced to absolute perfection. 8) Cleaned and ready to go. 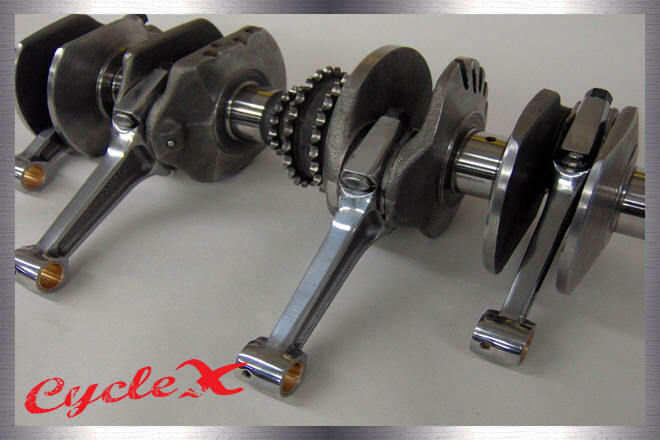 Voted: Best cranks of the decade! 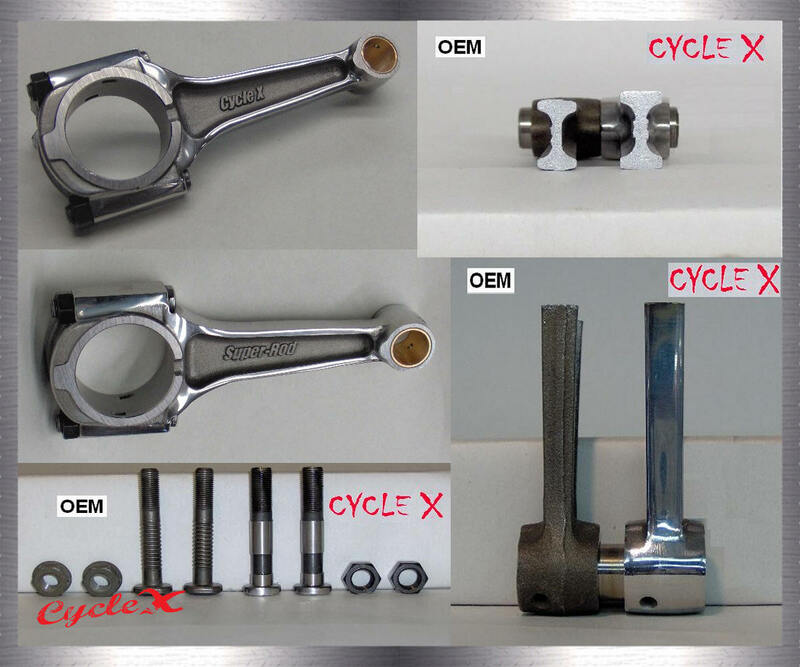 Cycle X super rods are installed with OEM Honda rod bearings. 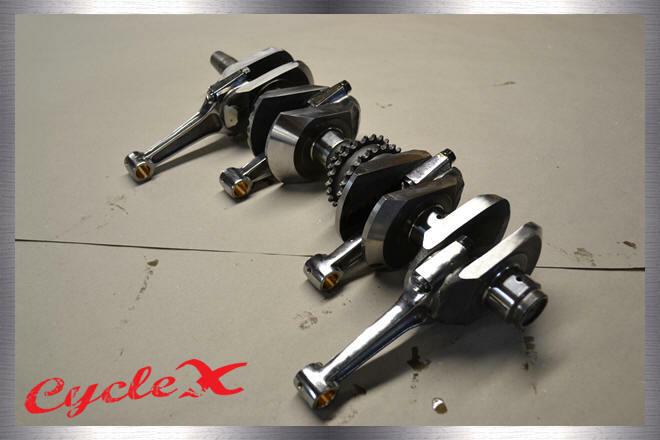 Cycle X Polished (Pork Chop) "Super Crank"
-Oil hole ball bearings are removed and tapped for socket style plug. -Oil ball bearings removed and tapped for socket style plugs. 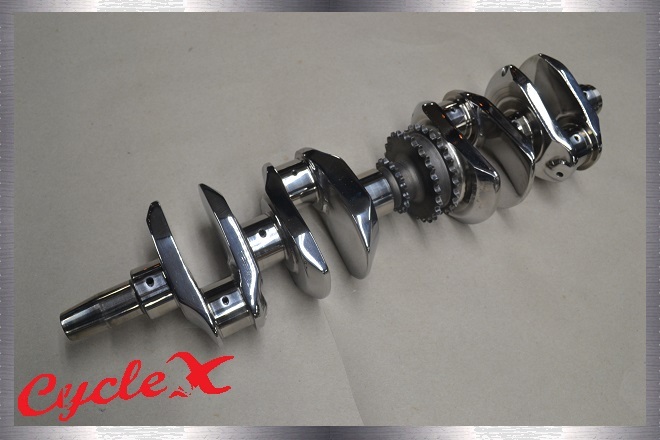 Many people have experienced the benefits of lightened and balanced crankshafts. 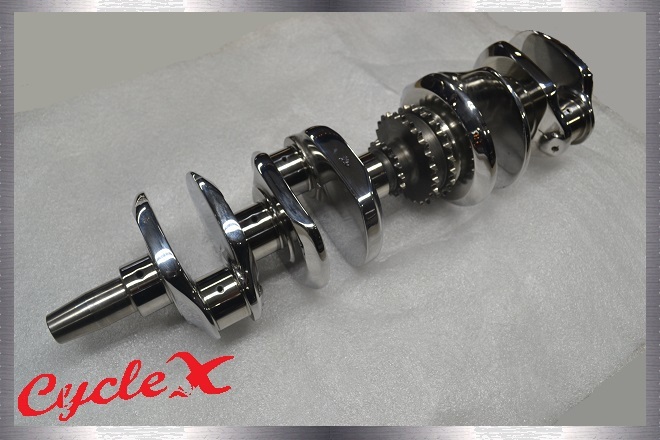 -Cycle X super rods are installed with OEM Honda rod bearings. Also available with an ARP set upgrade! $99.00 more. 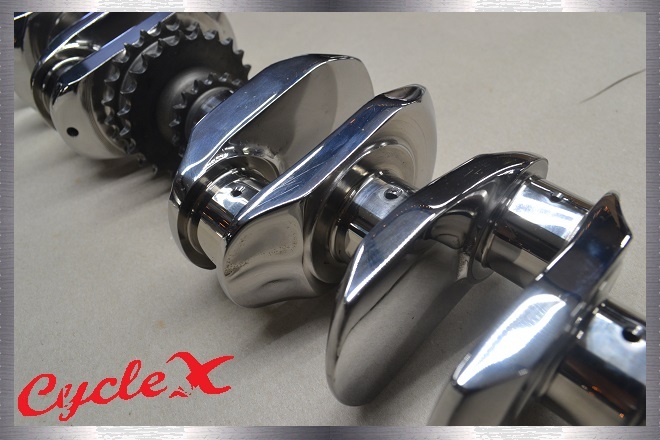 -Cycle X super rods are installed with OEM Honda rod bearings, ready to go! 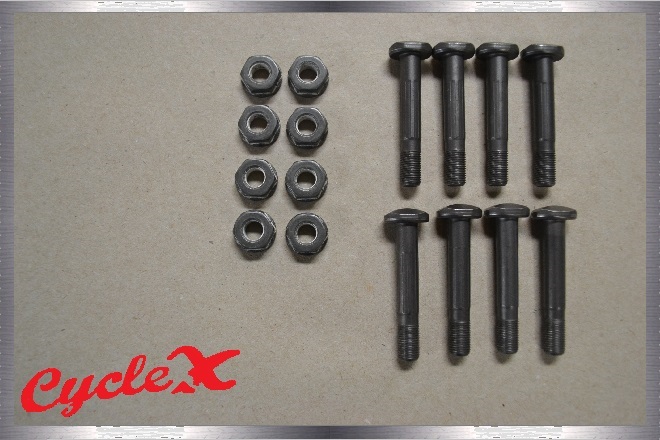 If you are not using heavy duty connecting rods, you should use these updated connecting rod nuts and bolts. 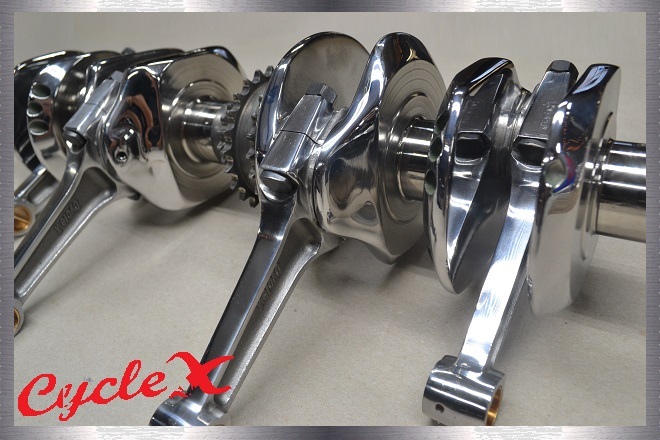 For Cycle X super rods. 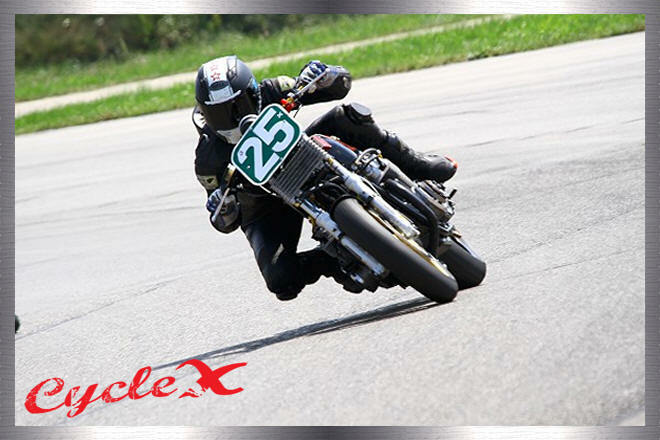 Quote: "Those Honda CB750s are really smooth running." 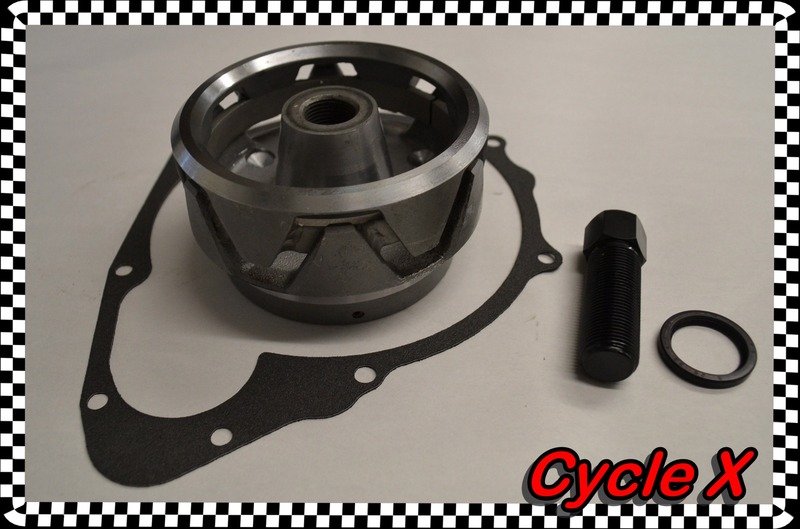 Quote: "I installed an RC engineering lightened rotor for more rev capability (love that old performance stuff)"
Our balancer shows stock Honda CB750 crankshafts and alternator rotors out of balance. This may be due to mass production or just 70's technology. 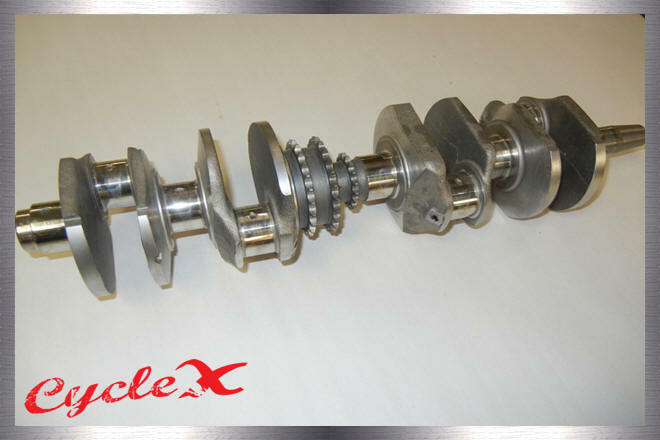 Lets say you reassemble your motor with heavy side of the crankshaft and heavy side of the rotor on the same side. (Do the math) Smooth running and happy? 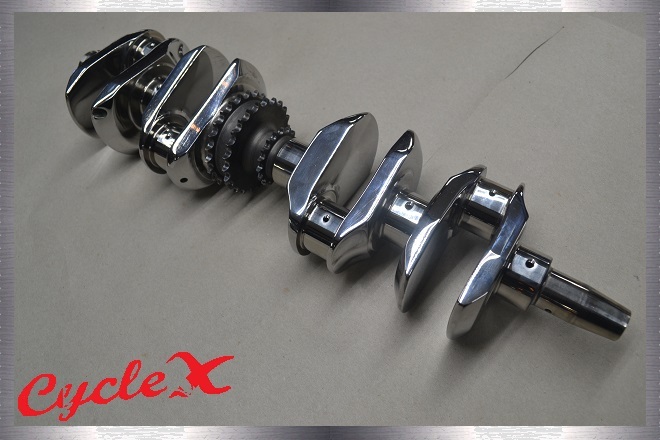 - Lightened and balanced to perfection rotor. 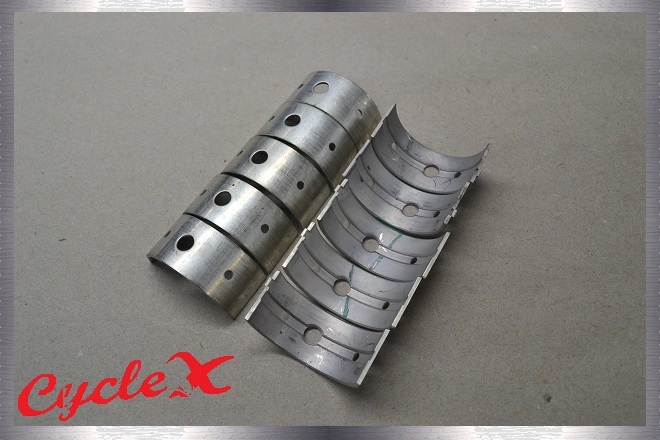 - Oil seal for your starter ring gear. 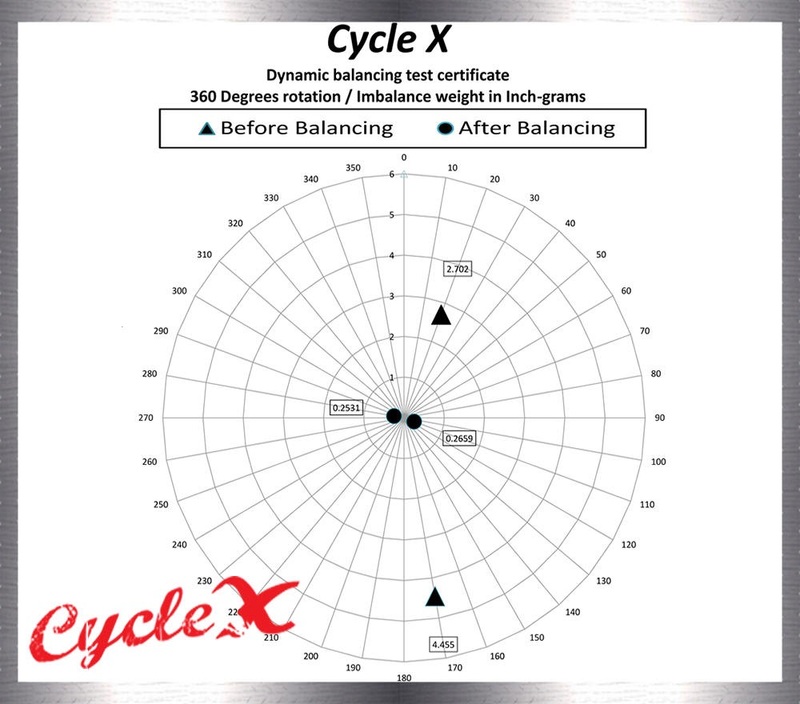 Note: The Cycle X balancer measures inch grams, making our crankshafts and rotors the best in the industry and history. 40+ years later, you now say, "Those Honda CB750s are really smooth running." Eraldo offers us some words of wisdom for the serious engine builder. 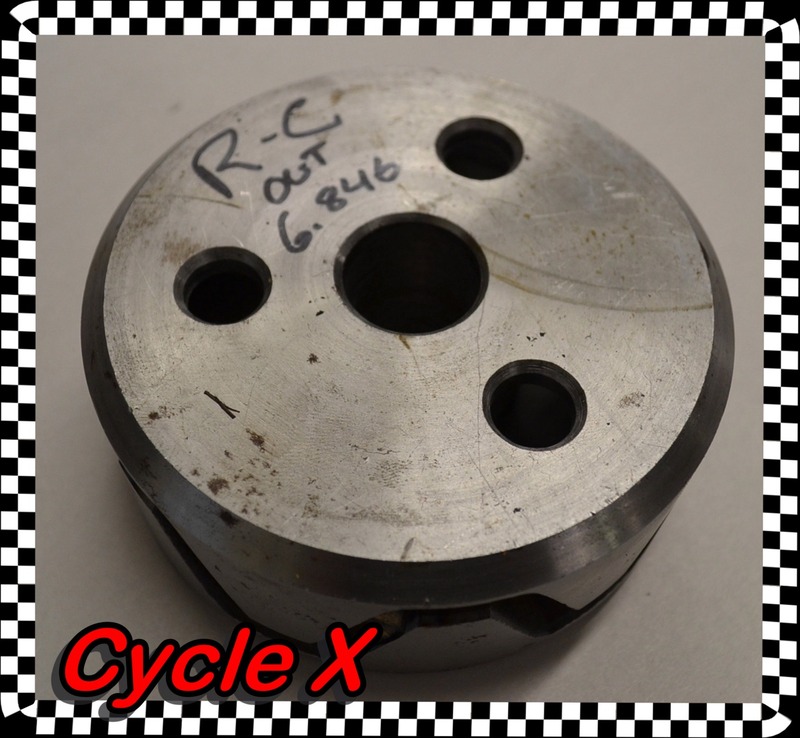 He tells us that anytime you are installing a crank on a CB750, be it a new part or one you're going to re-use, you must measure each main and rod pin for out-of-round or taper with an outside micrometer. After that's done, lay the crank alone without rods in the cases with the bearings that are called for from the chart. 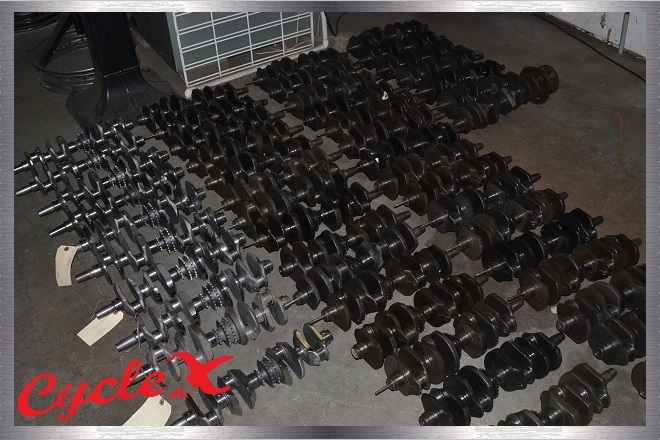 Lay in your pieces of plastigage; put on the lower case half; and torque to 16 ft. lbs. Eraldo does this plastigage check four different places around each main and rod journal. 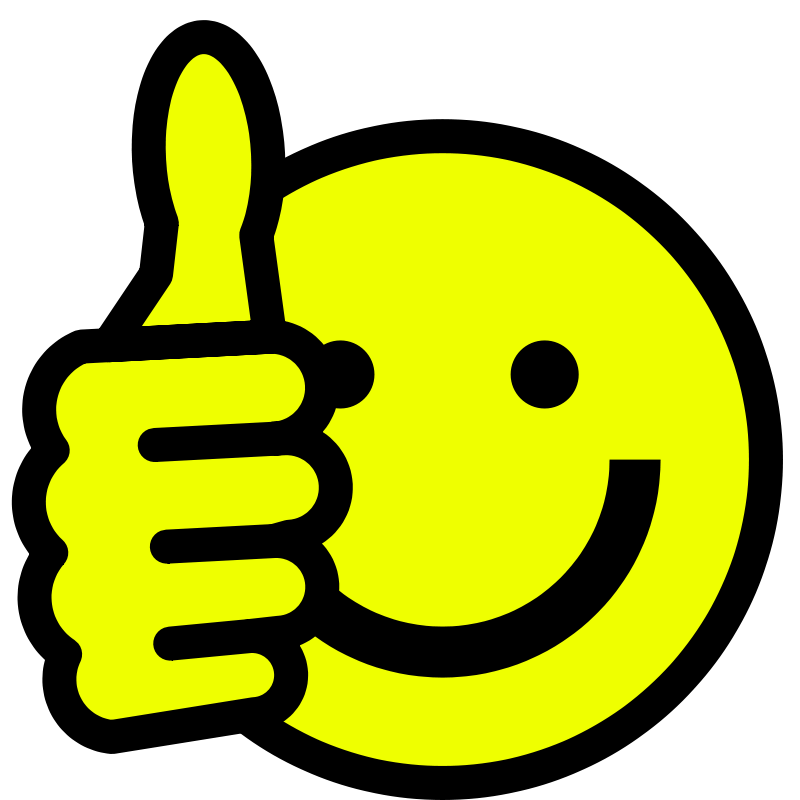 Rod bearings available for black, brown, green, and yellow. Note: You may mix and match bearings. Main bearings available for black, brown, green, and yellow. NOTE: As of July 1st, 2018, an extended goods and services tax (GST) has been applied to all Australian consumers buying overseas, charging an extra 10% in taxes to us with each purchase. 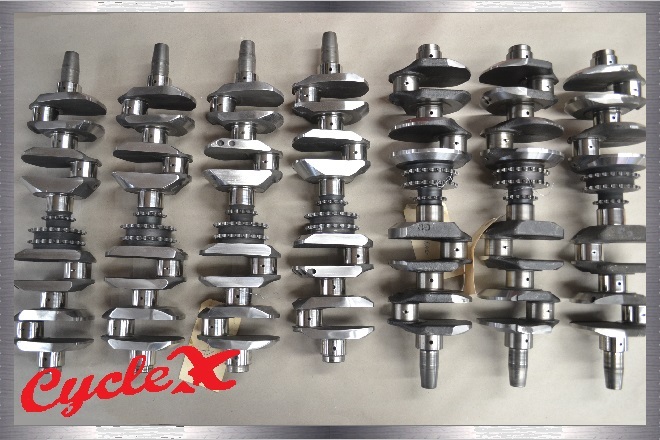 To ensure that you can continue to purchase from us in Australia and we can provide our parts at our usual lower cost, please contact us at either email below if interested in any particular parts so that we can make a special shipping arrangement for you.